Outstanding Bay and City views from nearly every room in this luxurious 1999 Mediterranean-style home. 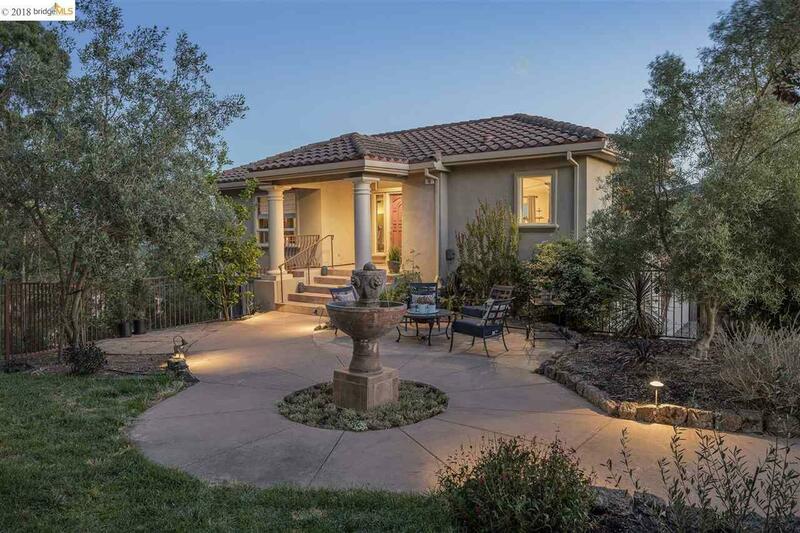 In an exclusive location with only nine equally beautiful homes on the street, just around the corner from the amazing Sibley Volcanic Regional Preserve, Huckleberry Botanic Preserve, and minutes to the shops and restaurants of Montclair. 4 spacious bedrooms, 3 well-appointed baths. Fabulous, private lower-lever master suite with bay window to views, huge walk-in closets, elegant spa-like bath and its own deck. Gourmet kitchen with professional-grade Viking range, stainless steel appliances, granite counters. Wonderful indoor/outdoor flow perfect for entertaining, with decks, patios, gated front level front yard with custom fountain.